My blood tests show I’m in remission, so why do I still have symptoms? My doctor said I tested negative for RA, but could I still have it? What is the role of blood tests in Rheumatoid Arthritis / Rheumatoid Disease? 1) Rheumatoid factor: the first antibody discovered to be commonly present with Rheumatoid Disease (RD), about 70% of the time. Rf is also present in many healthy people who do not develop RD. The percentage of people who show positivity for Rf increases with established disease. There are variations in the antibody that can be tested. 2) Anti-CCP or ACPA: a more recently recognized antibody commonly present with RD, and more specific to RD (so that there are fewer “false positives”). Between 70 and 90 percent of PRD are positive for ACPA. The difference is that we don’t have THE BLOOD TEST to emulate the treat to target model in RD. Look for more on biomarkers in the next post in this series. “If remission criteria were met by the majority of patients, support for expensive biological therapies in RA might be likely. However, because most people with RA are not in remission, other documentation of the value of treatment is needed. Patient global estimate and physical function are far more informative than laboratory tests, joint counts, radiographs, indices, or remission criteria to recognize improved RA outcomes. Routine collection of these quantitative data on patient questionnaires in the infrastructure of clinical care to document control to achieve more favorable values, rather than simple notation of gestalt impressions by the physician, would appear to be an intellectual and ethical responsibility to our patients with RA.” (Emphasis added). A recently published study in Denmark found that patient global estimate (a PROM) was significantly related to outcomes, while CRP had no relationship. But this is not new information: Wolfe concluded four years ago: “Myth 1. Normal values of ESR and CRP are meaningful in RA.” Yet, most of the time, PROMs are not used in treatment for RD, which is a shame. But the biomarkers are clues to better treatments and a cure, so we’ll talk more about those next. NOTE: Although I’ve told Ted Pincus his work makes him a hero to patients, and his co-author Yusuf Yazici is an RPF advisor, I have one reservation with the quoted article. The introduction states that “remission is now a realistic target in RA,” however this statement needs qualification. A low percentage of patients in the field achieve remission [9,10], so remission is now a realistic target theoretically or perhaps academically, but it should not be made as an unqualified statement. The posts that started the discussion: WHAT ARE THESE TESTS WORTH? 8 Pincus T, Castrejón I, Yazici Y. Documenting the Value of Care for Rheumatoid Arthritis, Analogous to Hypertension, Diabetes, and Hyperlipidemia: Is Control of Individual Patient Self-Report Measures of Global Estimate and Physical Function More Valuable Than Laboratory Tests, Radiographs, Indices, or Remission Criteria? J Rheumatol [Internet]. 2013 Sep [cited 2013 Oct 16];40(9):1469-1474. Available from: http://www.jrheum.org/content/40/9/1469.full? I was diagnosed with Rheumatoid Arthritis three years ago. I have been on plaquenil for two and a half years. In the past year bloodwork from my Internist and Rheumy have shown a low white blood cell count of 3.5 Is this something I should be concerned about? Is this normal for most patients on plaquenil? I find the blood test conundrum to be fascinating. The tests used for RD are notoriously unreliable, and the ACR’s own website says so. Yet, how many of us have been misdiagnosed or left untreated because of negative or “not positive enough” results on blood tests? I guess much of it stems from the fact that doctors are heavily trained in science and want to see undeniable black and white proof before diagnosing something. The drugs we take are not to be taken lightly, which probably adds to the reluctance to diagnose without positive proof. X-rays aren’t too reliable either, especially in the earlier stages before damage has occured. Ultrasound seems to be much more accurate but isn’t widely used. That leaves the patient’s description of what is happening. The good doctors listen carefully to that. Too bad there aren’t enough GOOD ones to go around! I have been recently diagnosed with PsA. One of the criteria used to diagnose it is NEGATIVE results on the standard blood tests! Even with a personal history of psoriasis,nail involvement, sausage digits, etc., it took a third rheumatologist to correctly diagnose the obvious. It’s too bad that there aren’t better blood tests. Maybe someday. 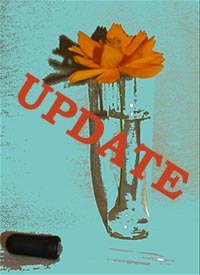 Kelly, thank you for this update on blood tests. Your work continues to change the practice of rheumatology and RD patient care. I am forever grateful to you and your colleagues. I agree with your information about blood tests and the importance of patient reporting. Unfortunately if patient voices are paired with inconclusive blood tests, what can happen yet again is the proverbial fight between the rheumatologist and patient. I don’t think your blog post provided a way around this. Frankly, I’m tired of seeing the same information from patients about negative blood tests and then not being believed by their rheumatologists no matter what the patient reports. Enough already. THE USE OF ULTRASOUND AND MRI NEEDS TO BE INCLUDED IN THE STANDARD OF CARE IN RHEUMATOLOGY because there is no definitive blood test for diagnosis of RA and clinical exam of joints is not as valid as advanced imaging. You cannot argue with an objective imaging scan that shows 1) erosions of the surface of bone in the joints, 2) active inflammation in joints, and 3) excess blood flow to the joints (hyperemia). Having objective evidence takes the focus off of patient reporting and might lessen arguments with rheumatologists. Given how fast medicine changes, it is time for an update to the 2010 Rheumatoid Arthritis Classification Criteria An American College of Rheumatology/European League Against Rheumatism Collaborative Initiative ACR and EULAR. I had the CCp test positive and now a yr leater its negitive. is this normal? Hi Kelly. What does the “P” stand for in PRD? Hi Lori, look at the first use of it on page & it is written out (person). Ah, the blood tests. I visit the vampires pretty darn often, but it’s mostly used to check the health of organs in my body and their reactions to my cornucopia of drugs. We are checking sed as an indicator of this particular round of current meds (rituxan) but mostly my Rheumy relies on me. We talk about swelling and she does count joints, but the notes she takes are more from her first view of me and our discussions. Trust me, it’s obvious when a medication is in failure. I severely dislike the talk about remission as it’s such a small chance. When I was diagnosed it was held out to me as a goal, and an attainable one. Recently I looked my Rheumy in the eye and said, yanno, at this point unless some miracle comes along I’m pretty sure we can take remission off the table. 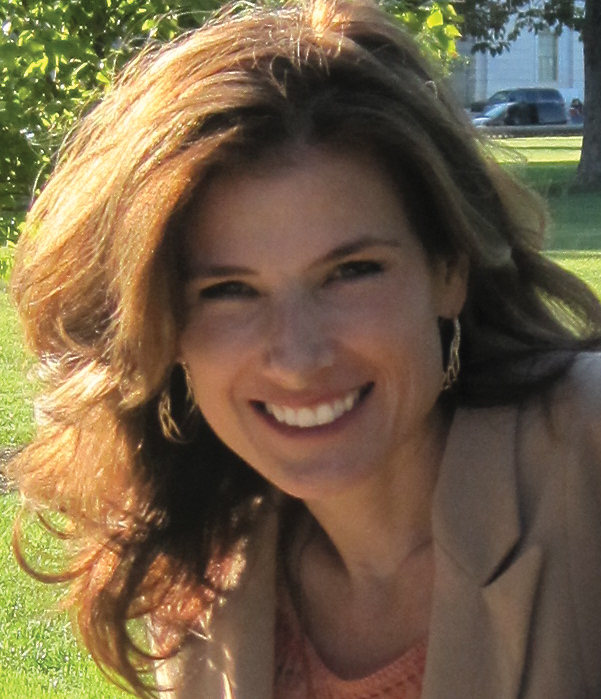 The dream of remission held me back from accepting my diagnosis and my new life. Who I am now, versus who I was three years ago, are two different people. I think the acceptance and the comfort from wrapping my head around that, would have been easier without the hope of remission. I am grateful now for the life I lead, and I am able to be more present in my life knowing that is not an option. It may sound fatalistic, but it’s not. I have a negative RA factor and anti-CCP. My sed rate and CRP have always been normal. I am so thankful that my rheumatologist has treated me aggressively based on symptom reports and synovitis alone. I have been through Planquenil only therapy, progessed to triple therapy, then tried Enbrel, Humira, & Orencia. I’m finally feeling the best I have in a few years with Actemra infusions combined with merhotrexate injections and Plaquenil. This therapy has allowed me to continue my full-time job and taking care of my family. I know I am very lucky. In regards to the Vectra DA testing you just updated everyone on, I spoke to my Rhuemy and at this time he does not recommend it. Insurance will not pay and the test is a substantial cost. He is also hesitant due the fact there are not enough case history’s. Reading the website it sounds like a wonderful test. Hopefully, it is not all sales pitch. Lynn, we’ve discussed Vectra DA several times on the blog & I know we’ve covered this part, so let your doc know that the company who sells the test has a generous patient program that makes the cost of the test lower if your insurance doesn’t cover. I’m pretty sure the most anyone could ever pay is about 100$ if you have pretty high income. Also the test is now covered by Medicare, so many insurance does cover it since they follow the government’s lead. I don’t think it’s the one test to end all – which everyone keeps hoping for. But we have had a few people finally get adequate treatment when the Vectra DA test worked for them. I was diagnosed in July based on symptom report and my RF and anti-CCP were sky high. I was told I had textbook RA (whatever that means). I have been on MTX since then and have no more pain or swelling/stiffness. Thankful to be back to my old self 🙂 BUT, my blood work is WORSE now than before I was diagnosed. My doctor says this is normal, but how it that possible? If the labs are so bad, are my joints being damaged even with zero pain or swelling? HELP! Kelly, thank you for the reply. My point to the Dr was exactly that. If we can identity more accurately, it would be to everyone’s best interest who has to deal with this disease. I obviously missed the prior postings. Thanks for all u do. As more patients push for the testing, this will help get this test more available and physicians on board with it. I am an RN so when I went in for symptoms of bilateral knee, hip, shoulder, elbow and jaw pain after a scare from the dentist due to him thinking I was much older than 25 from bone erosion and remodeling on my xrays I thought my sed rate would definitely show inflammation. I was stiff, sore and fatigued beyond belief. My sed rate came back at 5, my RA factor came back at 26, my lymes titer was negative, ANA negative, everything was WNL on my CBC and I am awaiting results still on my CCP. 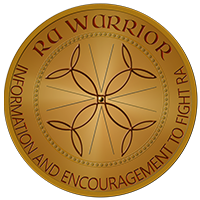 Even though I don’t have an official RA diagnosis yet…I know that is what I have. My paternal grandmother committed suicide from the pain of Raynauds and RA, my paternal aunt is seronegative, her son was diagnosed at the age of 9 with psoriatic RA, and my maternal aunt has DM and UCTD. I firmly believe genetics plays a strong role in autoimmune diseases. I haven’t been referred to a rheumatologist yet; however, since my appointment with a GP last week I now have a numbness/tingling/burning sensation from my elbows into my hands as well as intermittent stiffness in my left hand and foot. It is scary to know that I no longer have control over my body. My joints snd hands constantly feel like there is icy hot on them. I am nervous for what the future holds. I just got married in August and wonder about how/if I will ever be able to have children. For now, I am keeping my faith in God to make me stronger and praying for the best posdible outcome. My current RF score is 1800 up 80% since August. I am on Actemra, Methotrxate and Prednisolone. Both my GP and rheumatologist believe I am much better. I am better from the terrible pain state I was in 12 months ago but why such a high RF measure? Neither my own research or the two clinicians in question can explain. It seems to me that 1) i could be living on borrowed time; 2) measuring RD is still an art and not a science or 3) there is something missing in the jigsaw. I had a total knee replacement last June and I wonder if the titanium joint has contributed. Perhaps others have had similar experiences? Michael, it most definitely is not settled science – measuring RD. 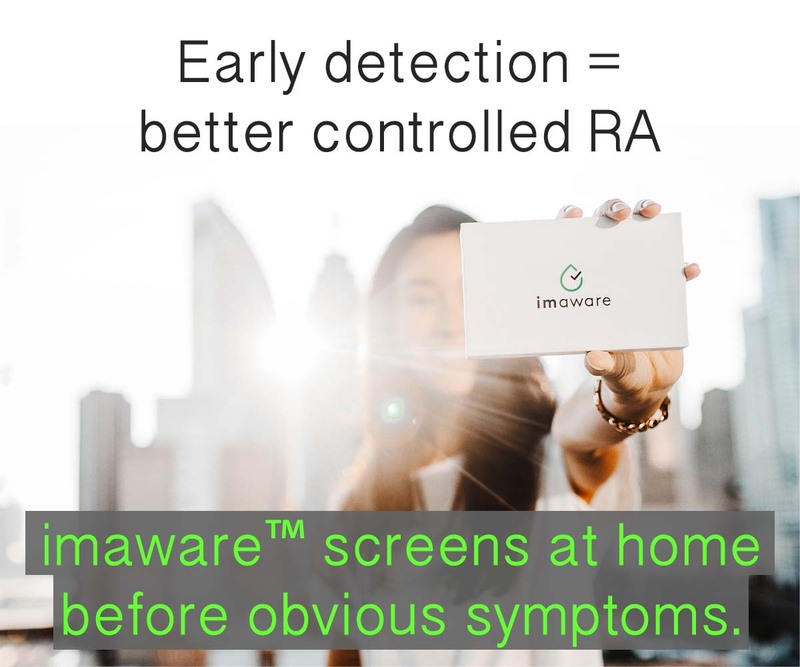 Rf is known to be fickle and there is more than one antibody to measure [read here https://www.rawarrior.com/rheumatoid-factor-test-should-we-rely-on-rheumatoid-factor-levels/%5D, which could make a difference. It’s also possible, as you hinted, that the RD is very active even if not as much in your joints. I enjoyed reading this article because for the last three months I’ve been off Methotrexate after taking it was over 6 years. I discontinued it because it caused me to have Tinnitus, ringing in the ear due to nerve damage from medication, per my ENT. Plus, other side effects that I could no longer tolerate. Even though I my Sed Rate is high I haven’t experienced high levels of pain or much pain at all. I was so surprised! I do have some Prednisone for just in case. My rheumatologist told me for the first time ever that the physical exam determines the severity of the disease and based on the exam I have a mild case of RAD. II will begin taking Plalenqil, after seeing an Ophthalmologist. I was diagnosed with RAD in 2007 and I still don’t understand all there is to know about it, but thanks to RAW I’m slowly learning.